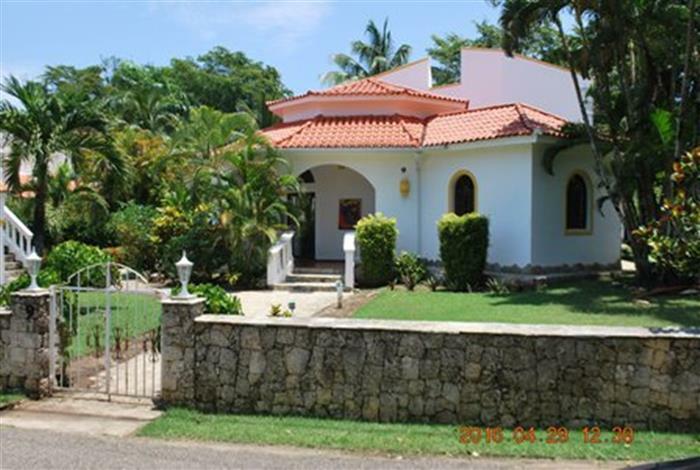 Villa in luxury Dominican Republic community for sale. OWNER FINANCING AVAILABLE! 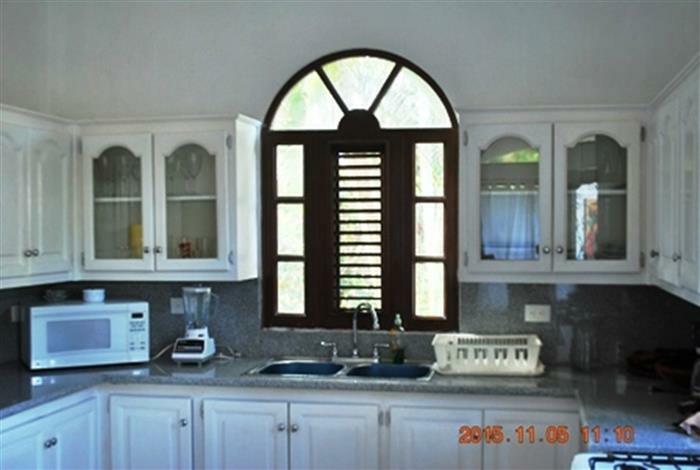 This spectacular four-bedroom villa is located in a gated community and is literally less than a minute walk to a beautiful secluded beach. 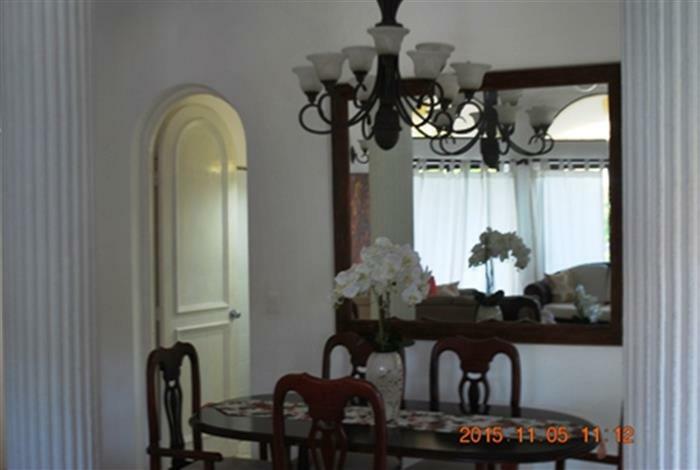 The front of the Villa is very impressive with its grand entrance and perfectly manicured garden. As you enter the villa you are welcomed with an open living space with the kitchen to one side and the living and dining area to the other side. 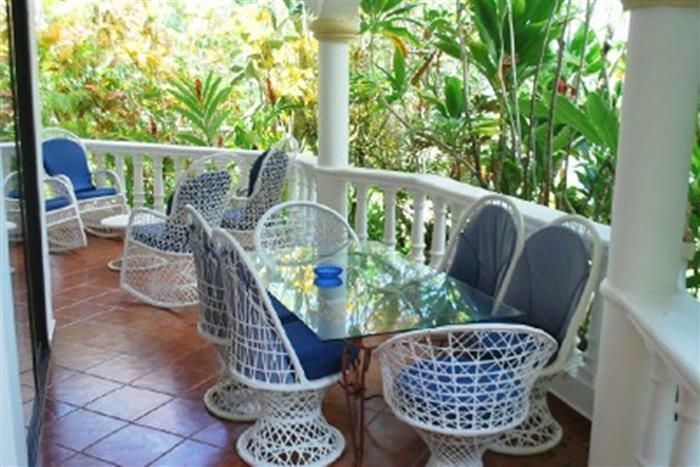 From here you can access the covered terrace that has another diving table, ideal for ‘al-fresco’ dining. 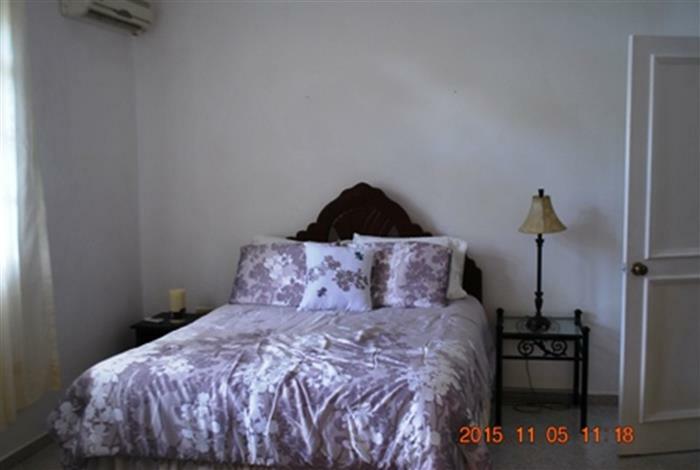 There are two bedrooms on the ground floor and two bedrooms on the upper floor, all air conditioned and with their own en-suite bathrooms. 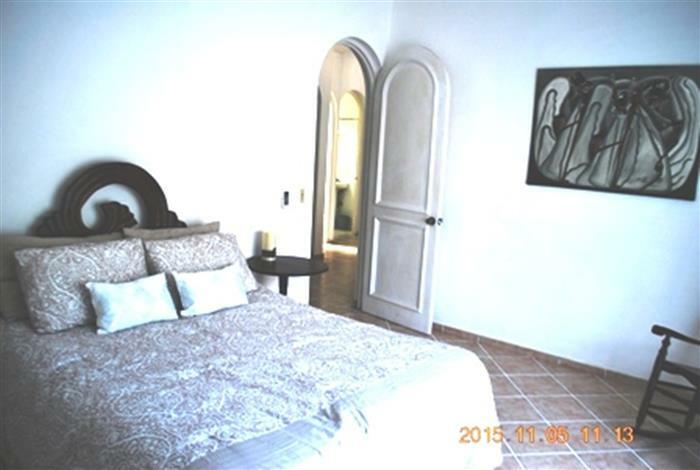 The two upper bedrooms have a private access to the pool area via an exterior stairwell. 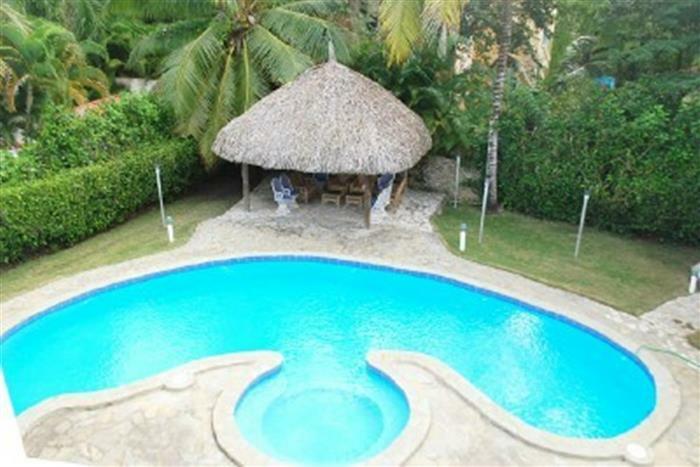 The pool area is a tropical paradise if fruit trees, colorful flowers and a large uniquely shaped pool complete with a Jacuzzi. 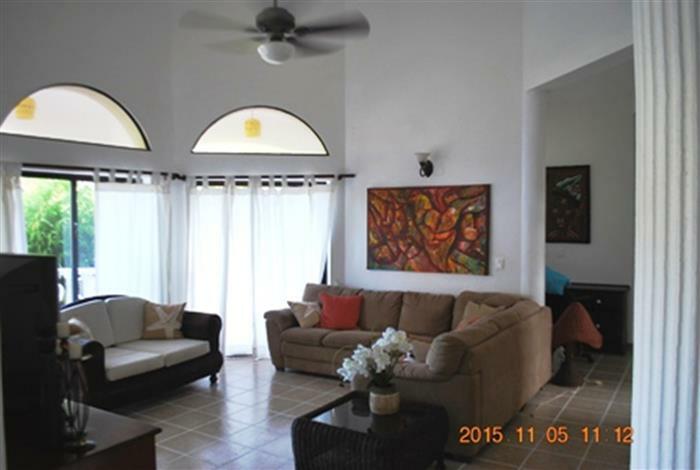 There is also a separate palapa, a beautiful covered exterior living area that is ideal for entertaining and BBQ’s. 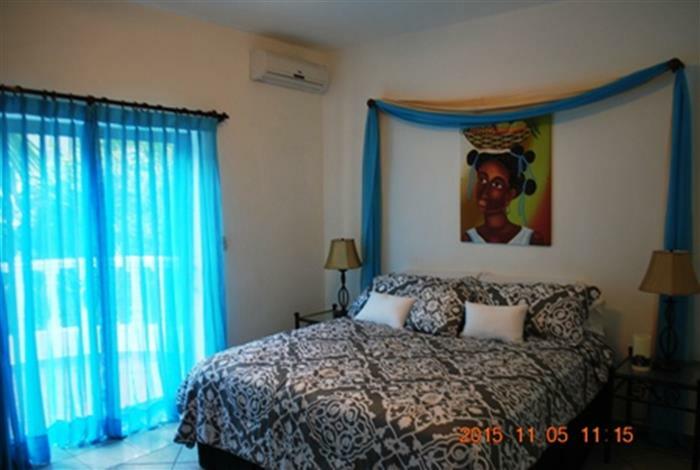 The villa comes fully furnished and has beautiful Dominican and Haitian art work through the villa. 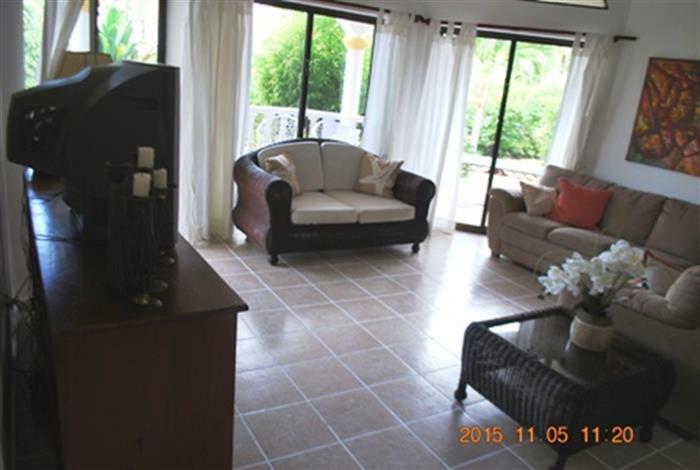 The property is situated within a private beachfront gated community that is situated in another larger gated community that has a beach front restaurant and spa, a pizzeria and convenience store. 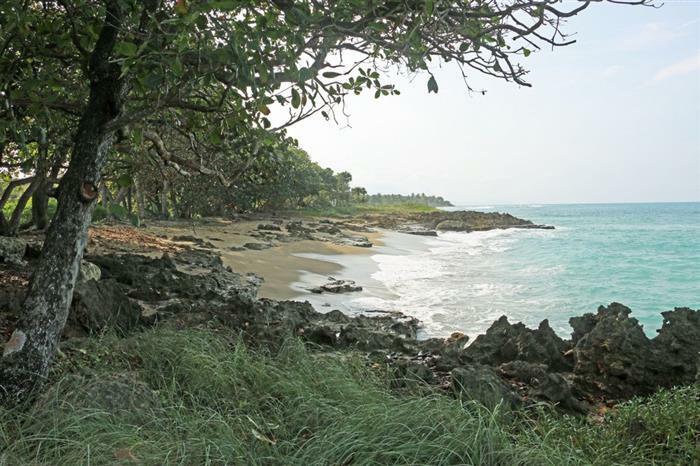 The famous towns of Sosua and Cabarete are only 10 minutes away by car. 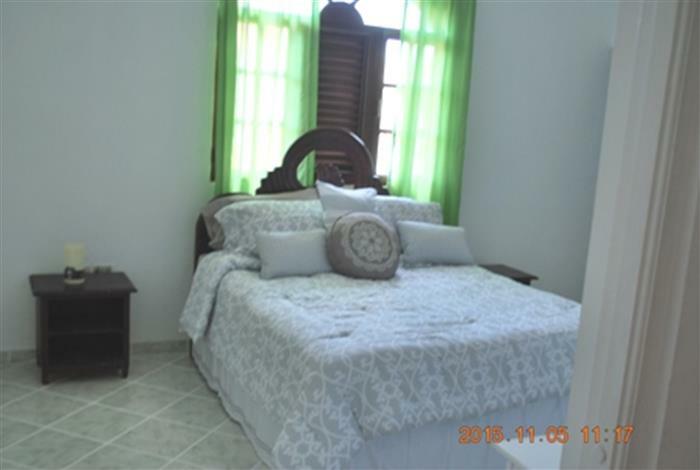 This is also a very popular villa for vacation renters and so if you are considering purchasing a income generating property then this is a very good option. Owner financing available! Please complete the request form for more information.